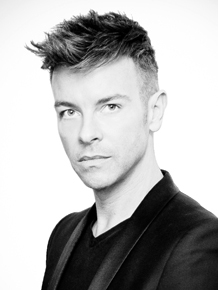 Darren Ambrose is one of British hairdressing’s creative leaders – a winner of no less than 5 British Hairdressing Awards, he produces some of the most jaw dropping photographic work in the world alongside the wearable styles he gives his clients at his busy Pinner salon. other shows worldwide. His team shows all the winning potential you’d expect under his mentoring – Kieran Tudor is the current Newcomer of the Year, while Ross Strong has finalised for Men’s Hairdresser of the Year 3 times. Darren, alongside wife Jackie (the J in D&J Ambrose), is driven by a love of fashion and the duo’s business is motivated by this passion over and above anything else – this in no small part is what attracts such a host of talent to the salon as they all cite the creativity and investment made into photoshoots and artistic pursuits. Darren says of his philosophy, “A long time ago, a close friend gave me a great bit of advice: “Stay focused”. To me this means staying true to myself, and as very much a creatively driven person, everything I do is shaped, driven and motivated through and by creativity. This enables those that work with me to really “get me”, allowing them to have a very clear idea of what I can (and to be honest, can’t) do which in turn has opened so many exciting doors for me, the D&J Ambrose Artistic team and the salon. “With this amazing support from the team and of course, my wonderful wife, I have been able to translate this into achieving wonderful accolades, BHA Hall of FAME membership (having been fortunate to win the BHA Avant Garde category 3 times) and Fellow with Honours with the Fellowship for British Hairdressing being particularly important to me.